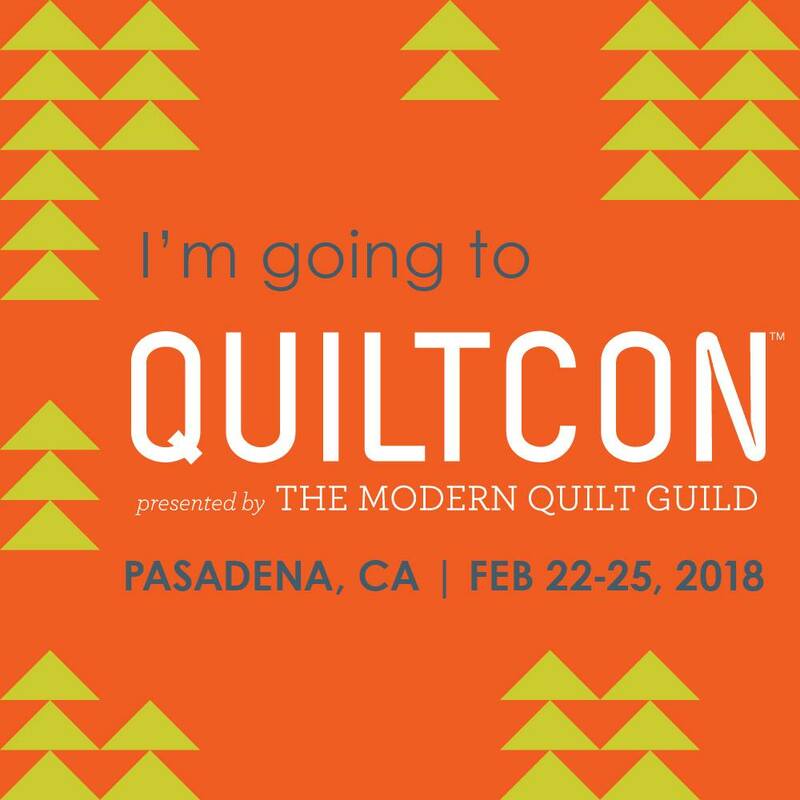 Savor Every Stitch: Off to QuiltCon! Oh, how I've waited. A whole year, in fact. Last year, after missing out on the Savannah show, I was determined to attend the next show in Pasadena. I was checking QuiltCon's website for information about the 2018 show on a weekly basis, and when the long-awaited class list was first announced, I dove into it like a kid in a candy store. I made schedules, debated options, and on registration day, I was ready! There were some snafus at registration but I managed to get into every class I wanted. I'll be taking classes with Angela Walters, Christina Cameli, Pamela Wiley, Kitty Wilkin, and Latifah Saafir. These are people I've only ever seen on a screen before, so that's wildly exciting that I'll be in the same room with them, learning from them! So, my bags are packed, my workshop supplies are prepared, and my credit cards are ready. ... I do hope I haven't built it up too much in my head. After all, it was a whole year of anticipation! Bummer you aren't in the embrace the chaos class!!! I'm in it! Do you have you final schedule? Finally arrived! Have a wonderful time!!! Have a blast! Hoping to do Nashville next year. I hope you have an amazing time! I'm jealous that you get to go to Kitty's workshop! I'd love to be there. Take it all in and enjoy every minute! I managed to go last year but I'm not going this year. Have a great time. How awesome that you got into all the classes you wanted to. you must have a super fast computer. Liz - am sorta new to quilting and just learning about free motion quilting. My main question is, on L'arc en ciel" was that done on a long arm quilter? Is it possible to do that kind of quilting on a regular machine with dropping the feed dogs? Sorry I only saw your comment now, it was classified as spam for some reason. I did do L'arc en Ciel on a longarm, and it's entirely possible to do it on a regular sewing machine dropping the feed dogs, but I would suggest using a ruler foot and a ruler for the straight line sections.